Contact Broward County, Florida Slip & Fall Lawyers Gerson & Schwartz, P.A. Over 1.9 million people live in Broward County. The county is made up of 30 cities, each having numerous restaurants, shopping centers, hotels, businesses, schools, and residential developments. 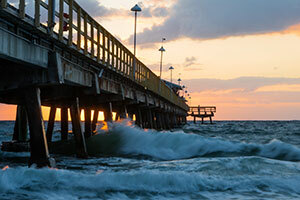 The warm weather and beaches attract over 16 million tourists each year, many visiting the coastal cities of Fort Lauderdale, Hollywood, Deerfield Beach, and Pompano Beach. The city has a mix of high-end retail stores and restaurants in its more affluent areas, as well as mainstream and family-oriented stores in its residential areas. Broward trip and fall accident victims may sustain serious injuries, resulting in the loss of wages and mounting medical bills. Victims may also incur costs for medical transportation and in-home assistance. Insurance companies are often quick to offer settlements to close out your case. Before you settle, understand what your rights are and what compensation you are entitled to. Contact Gerson & Schwartz at (305) 371-6000 for your free consultation and get the answers you need. Property owners and businesses are expected to provide people with safe conditions when they visit their property. People have the expectation that floors, stairs, sidewalks, and parking lots are safe to walk on. Trips and falls may happen when walkways contain broken or uneven surfaces, parking lots have dips or potholes, curbs are hidden or damaged, or sidewalks have tree roots protruding through the pavement. Poor lighting and the lack of handrails can also contribute to trip and fall accidents. People can also trip and fall getting on or off or escalators or elevators, as well as moving from different forms of flooring, such as hardwood floors to carpet. Injuries sustained in a trip and fall accident can range from relatively minor, such as a scrape or bruise, to serious or even fatal. If you or a loved one has been injured in a trip and fall accident, contact the Broward trip and fall accident attorneys at Gerson & Schwartz to get the help that you need. 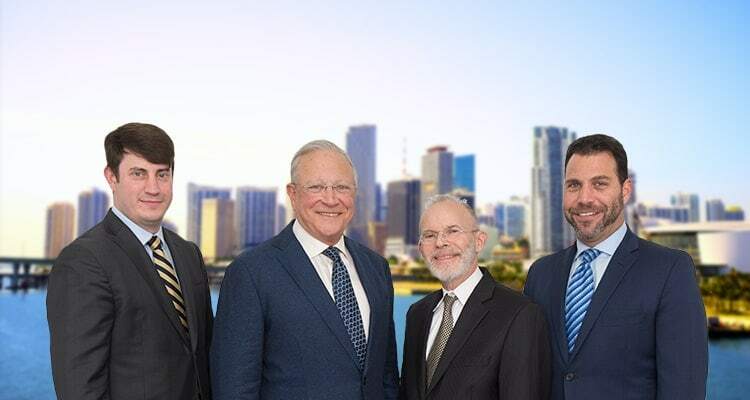 The Broward County trip and fall injury team at Gerson & Schwartz can answer questions about your trip and fall accident. Serious injuries may prevent an accident victim from working, thus resulting in lost wages. The accident may require medical treatment, causing a financial burden when the bills come due. If the accident resulted in the loss of a loved one, you may be eligible to file a wrongful death claim. If you or a loved one is a victim of a trip and fall accident and would like to speak to our Broward trip and fall attorneys, contact Gerson & Schwartz at (305) 371-6000 for a free consultation. If you or your loved one has been the victim of a trip and fall accident, contact our Broward trip and fall attorneys to find out what your options may be for medical treatment and reimbursement. Sunrise, Fort Lauderdale, Pembroke Park, Sea Ranch Lakes, North Lauderdale, West Park, Dania Beach, Weston, Lazy Lake, Coconut Creek, Coral Springs, Lauderhill, Southwest Ranches, Parkland, Miramar, Pompano Beach, Plantation, Tamarac, Lauderdale Lakes, Wilton Manors, Deerfield Beach, Margate, Oakland Park, Hallandale Beach, Lighthouse Point, Pembroke Pines, Lauderdale by the Sea, Davie, and Hollywood. If you or your loved one has been the victim of a trip and fall accident, our Broward trip and fall accident attorneys at Gerson & Schwartz can help you get back on the path to recovery. Understand your rights and what compensation may be due to you. Contact us at (305) 371-6000 for a free consultation.